Book 4 fishing spots at regular rate, the 5th and 6th person can come for 1/2 price, June dates are available only. 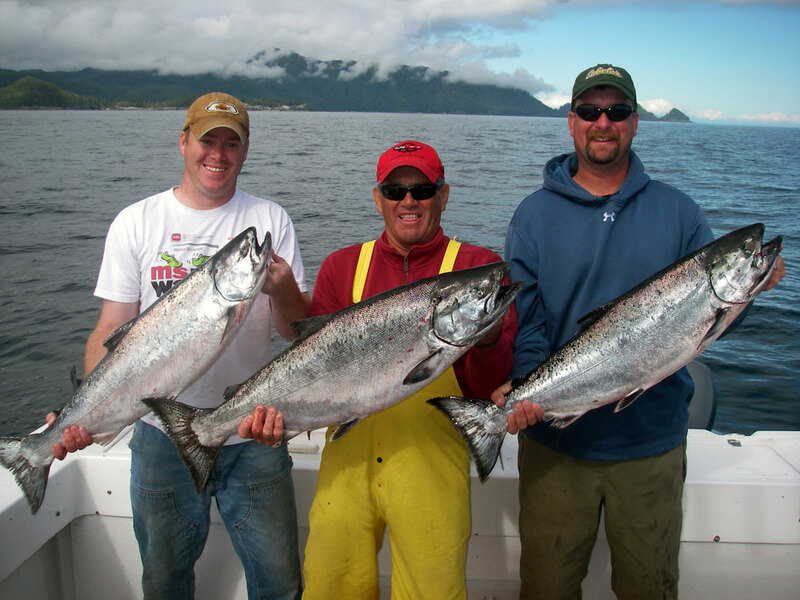 This is the best king salmon fishing in Alaska!! See for yourself. Ketchikan salmon fishing limits are among the highest in the state. Package includes lodging, meals, guided charter fishing, processing, airport pickup. Limit on king salmon in Ketchikan is 6 per person per day! !